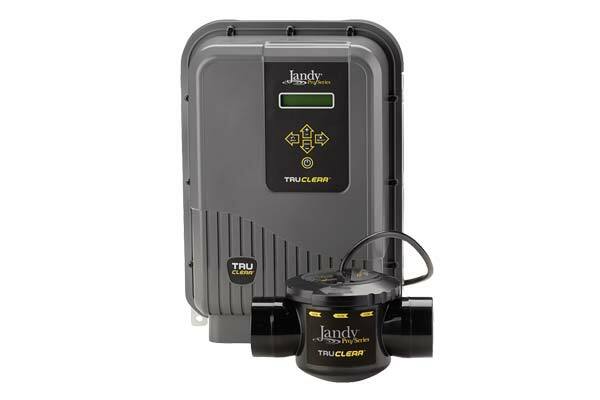 The Jandy Pro Series TruClear Salt System was designed to be simple to own and maintain without sacrificing performance or reliability. The TruClear Salt System can be controlled from your smart phone using the iAquaLink™ app when combined with AquaLink® Automation Systems. 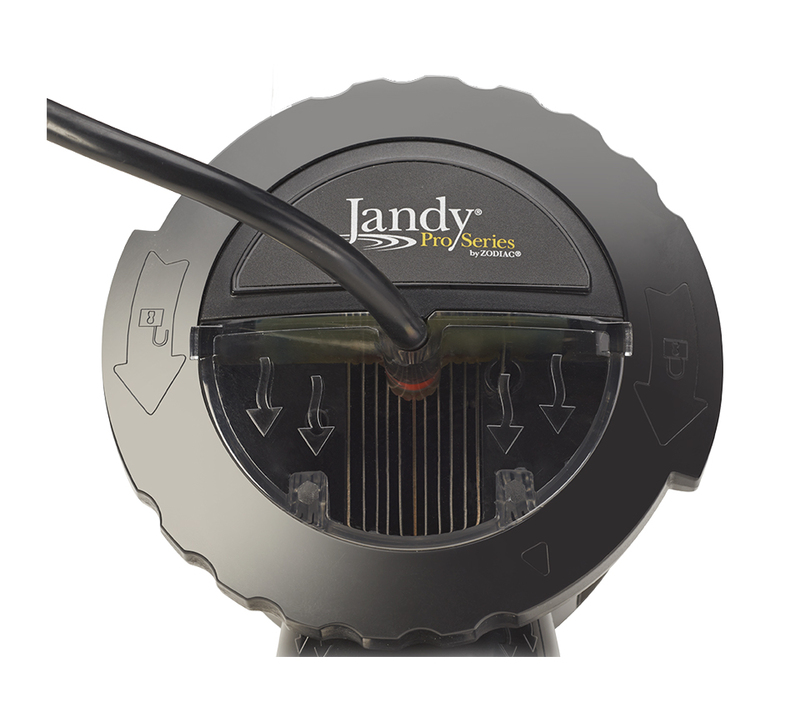 The Jandy Never Lube Valve construction, a compact design for easy integration in most equipment pad configurations, and a transparent window for quick visual inspection of blades make this system a stroke above most. 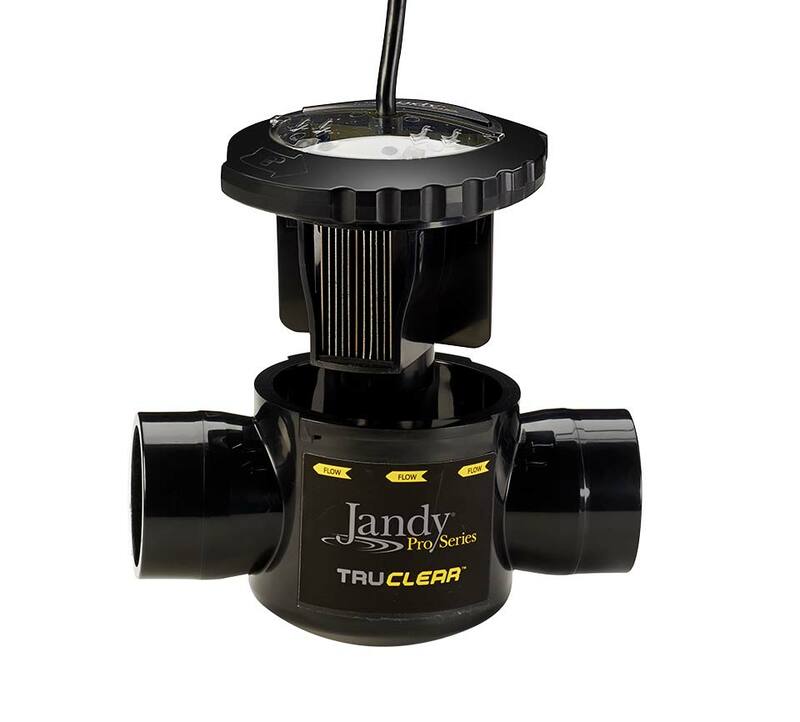 The energy-efficient TruClear Salt System also works at extremely low-flow rates, making it fully compatible with variable-speed pumps.